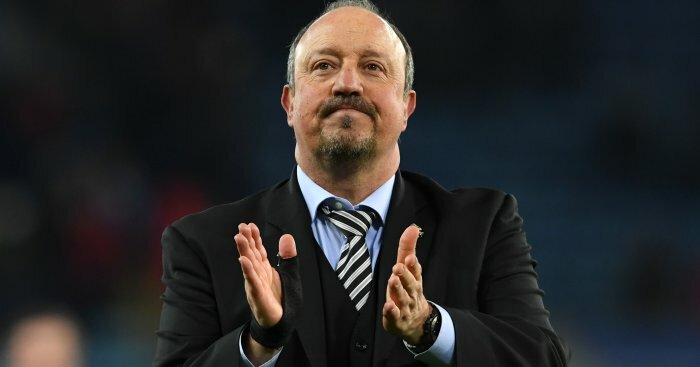 Boss Rafael Benitez hinted he is preparing to stay at Newcastle and believes his future will be resolved quicker with the Magpies on the brink survival. Ayoze Perez’s excellent first-half header earned the Magpies a 1-0 win at Leicester on Friday. They are 10 points clear of the Premier League’s bottom three – although every team below them has games in hand – with four matches left. 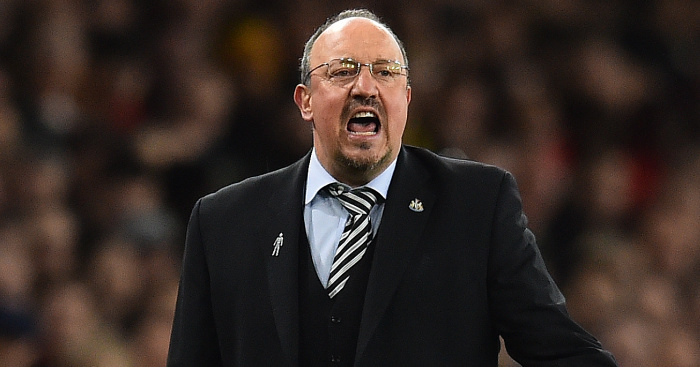 It was just Newcastle’s third away win of the season – and first since December. 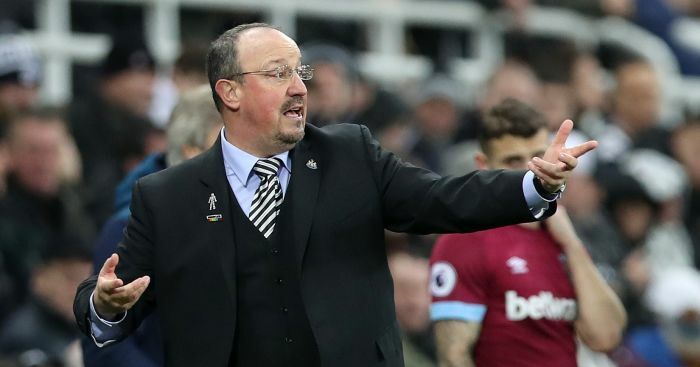 Benitez is out of contract at the end of the season and, while he remained cautious about survival, believes victory at Leicester will help sort his future. He said: “We have been talking about it behind closed doors but we didn’t want to talk about it in public because we wanted to keep the players focused on the games. “Now we are closer it may be easier but there is still the same situation so we have to be sure we do the right things. “We’re not safe yet. I think we are closer but we have to see what happens, but at least we are very close now. We have to be careful. “For me, 38 points was the mark that you could be be safe but Cardiff have won some games so we will see. 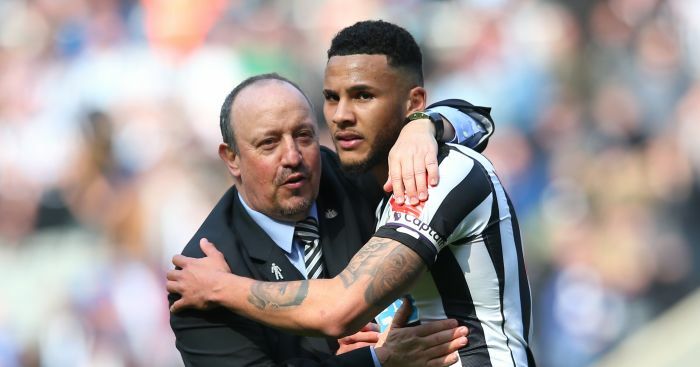 Perez scored the only goal after 32 minutes when he glanced in Matt Ritchie’s excellent cross for his eighth goal of the season. Salomon Rondon had already hit the crossbar with a 30-yard free kick while Perez was denied by Kasper Schmeichel after the break. Leicester were chasing a fifth straight win and their best run for two years but never broke down the well-organised Magpies. Jamie Vardy missed their best chance when he fired over with 10 minutes left. It hurt the Foxes in the race for seventh – which will yield a Europa League spot if Manchester City win the FA Cup – with Wolves, Watford and Everton able to pass them this weekend. It was also Leicester’s eighth home defeat of the season – their most in a Premier League campaign at the King Power Stadium. Boss Brendan Rodgers said: “It was the first game of this type I’ve seen us play in. The opponent is very deep and had all 11 players in the final third. “There are lots of areas we can improve. It was just one of those nights where that final pass didn’t quite come off for us but the players did their best. We’ll go away and analyse it.